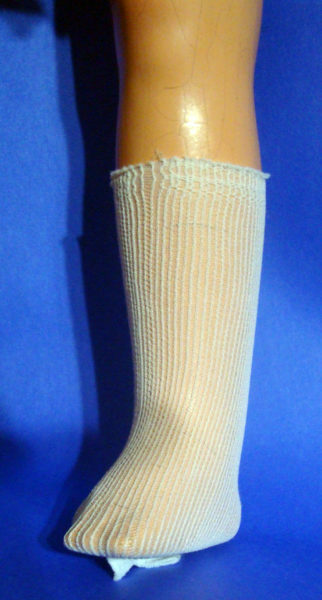 Nylon Tube Socks Choose an optionXSM ½ " X 3 ½"SM 5/8 " X 4"MD ¾ " X 5"
These vintage Nylon Tube Doll Socks are for modern dolls from about 1960 – present. They only come in off white. The tops can be either folded down, or be cut off for a shorter style. 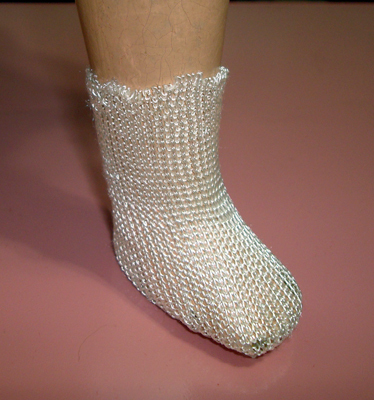 These stretchy socks can fit dolls from 8″ to 20″ depending on how fat the leg is. 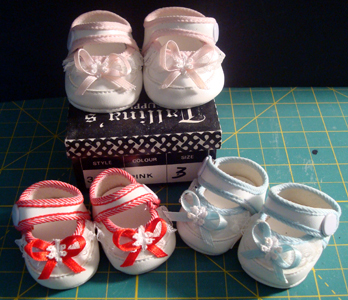 The pictures show a 14″ baby and a 20″ girl doll wearing the size MD. 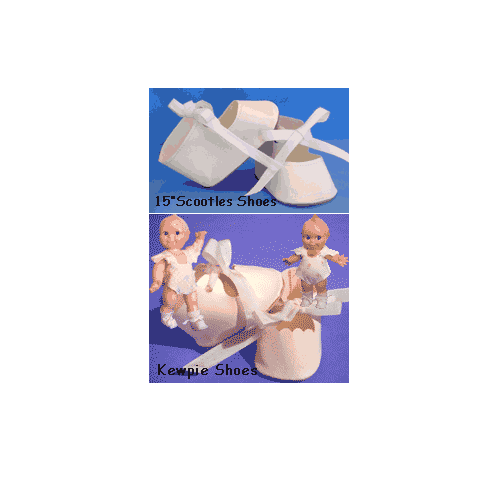 The XSM size is ½” wide X 3 ½” long for 8″-12″ dolls. The SM size is 5/8 ” across X 4″ long and will stretch from 2″ up to about 4″ around. 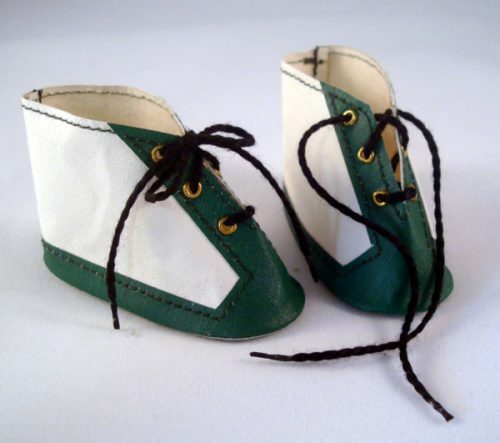 The MD size is ¾” across and 5″ long and will stretch from about 2″ up to about 5″ around. XSM ½ " X 3 ½", SM 5/8 " X 4", MD ¾ " X 5"